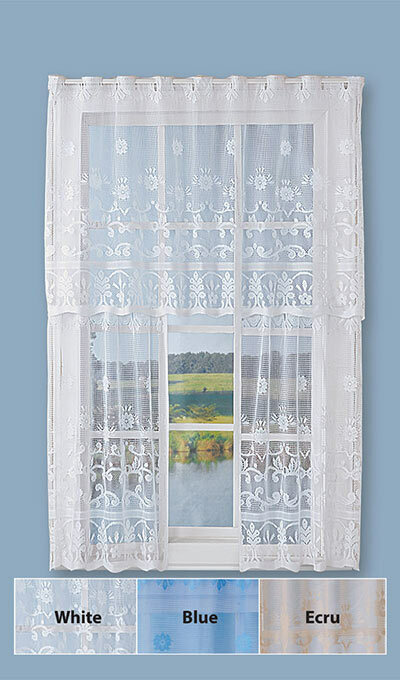 Dress up your windows with delicate Floral Café Curtain Set. Scalloped detailing at the bottom creates a flowing effect. Top features 2" opening for hanging. Top panel is 60"w x 32"l; bottom panels 30"w x 24"l or 30"w x 36"l. Polyester. Imported. 3-pc. set.